Now that we are past Thanksgiving, the holiday season is officially underway. Usually, we break out classic holiday CDs while stringing up lights around the house (and on my daughter’s dollhouse) and taking in the scents of our special candles. I’ve always loved the comfort of Ella Fitzgerald and Brenda Lee. Even Frank Sinatra and some instrumental holiday jazz have warmed our hearts on those cold nights. But for the past few years, we’ve added some variety to our music collection as some very talented kindie artists have released holiday albums containing both originals tunes and renditions of the season’s most beloved classics. The suggestions below are based on what we are listening to the most right now and those that we think your family will enjoy just as much. But, this is just the first list! There’s more to come so stay tuned for part 2! 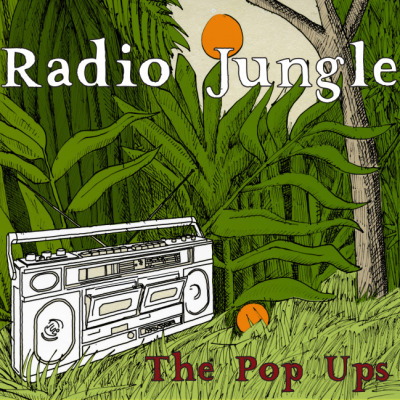 You will find a YouTube playlist corresponding with the list of albums in this post, as well as the sample track “Jingle Bells” from Renee & Jeremy’s Sunny Christmas,” at the end of this post. Enjoy! 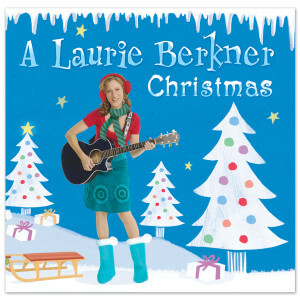 A Laurie Berkner Christmas is truly delightful and one that should definitely be opened before Christmas. The album and the single “Candle Chase,” recorded especially for those who celebrate Chanukah, is available for purchase and digital download through Berkner’s site, Amazon, and other media outlets. 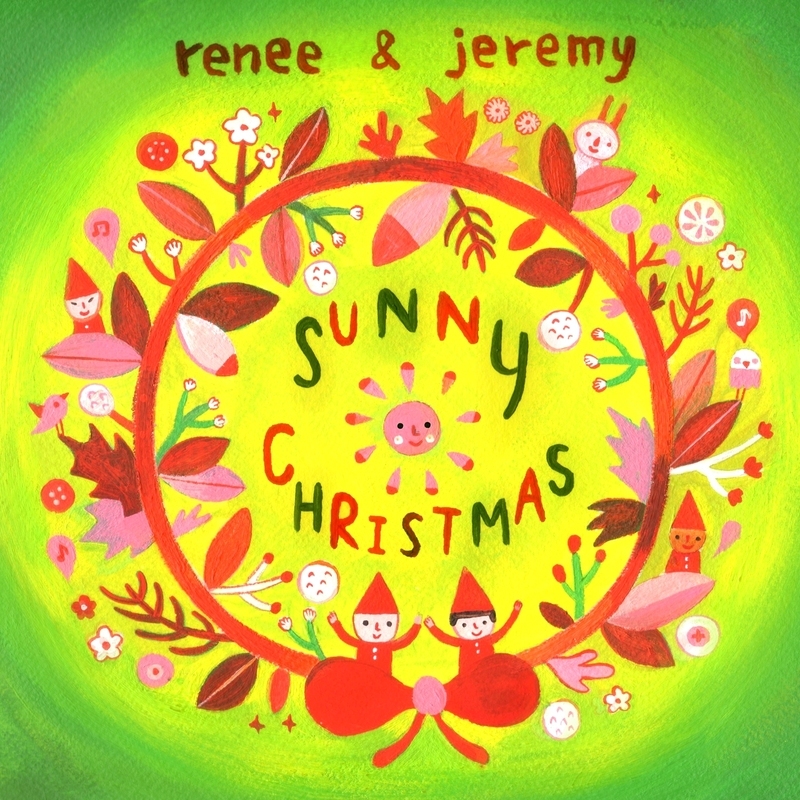 Expanding on their 2011 single “Sunny Christmas,” Renee & Jeremy recently released a 6-song EP of the same name just in time for the holidays. Like other recordings from the Los Angeles duo, Sunny Christmas is like comfort food for your soul. The album opens with a sentimental greeting in “We Wish You A Merry Christmas,” and you will instantly want to add your voice to the harmonious vocals and your hands to the rhythmic clapping. The title track, “Sunny Christmas,” is a bouncy pop tune that reminds us that the true gift of the season is spreading peace, love and happiness to those around us. It’s hard not to feel cozy and warm while listening to anything by Renee & Jeremy and Sunny Christmas is certainly no exception. So, as you string up your tinsel and mistletoe or sip a cup of hot cocoa, let Renee & Jeremy fill the room with joy as they wish you and your family good tidings. Sunny Christmas can be sampled and purchased through Renee & Jeremy’s site and Amazon, as well as other regular media outlets. And be sure to listen to “Jingle Bells” at the bottom of the post. Doni Zasloff, aka Mama Doni has Chanukah FEVER! brings us a quirky compilation of Chanukah songs that is sure to shine like a brightly lit menorah amidst the plethora of Christmas albums on the shelves or maybe even in your living room. Expanding on her 2008 EP, I Love Chanukah, Mama Doni’s Chanukah Fever celebrates the historical and traditional aspects of the holiday through a variety of musical styles, including disco, reggae, rock and ’80s freestyle rap. The 14-song album includes original tracks such as “The Funky Gold Menorah,” “Latke Man” and “La Vida Dreidel.” Even Hanukah Harry gets a personal note. Mama Doni’s songwriting skills and knack for Jewish humor is sure to bring your family to tears with laughter this holiday season. 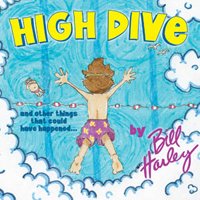 Chanukah Fever can be sampled and purchased through Mama Doni’s site, Amazon and other media outlets. 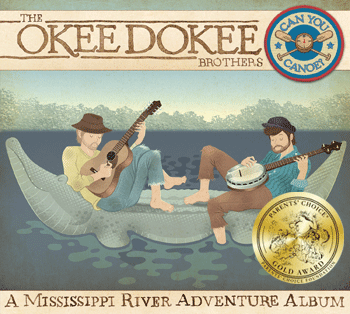 Bonus: Mama Doni’s cookbook, Get Cooking, was just released, and it includes some fine family recipes and a 29-song CD. Grab it while it’s hot! 2013 UPDATE: Check out for Mama Doni’s new releases, Mama Doni’s Jewish Holiday Party(DVD) and Mama Doni: The Acoustic Jewish Holiday Collection (CD), available beginning November 12 at Amazon.com, BarnesandNoble.com, iTunes, FYE Stores, See of Sound, and directly through Mama Doni’s website. This collection of Chanukah themed songs is set to acoustic and bluegrass sounds creating a warm, sentimental vibe. Highly recommended. See YouTube video playlist below to check out some of these sweet sounds for songs like “A Chanukah Love Song, ‘Eight,'” “Honey This Ain’t Money,” and “Chanukah, Oh Chanukah” which contains Hebrew and English verses. A Kindie Christmas by Bay Area band The Hipwaders is a holiday classic and offers a unique take on holiday jams. The album features 10 original songs filled with a diverse array of sounds ranging from funk in “It’s Wintertime” to country rock in “Santa’s Train,” which features Santa coming down the tracks in a red hopper car full of toys, and the R.E.M.-like sound of “Wake Up.” Other songs include “Tinsel & Lights,” a nostalgic ode to festive traditions, and “Christmas Vicuna,” a humorous tale about a South American camel who dreams of flying like a reindeer. A 2010 Honors Award winner from the National Parenting Publication Association (NAPPA), A Kindie Christmas is the perfect alternative to the classic carols of the season and will have your family rockin’ around the Christmas tree and beyond. 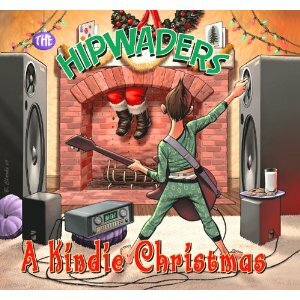 A Kindie Christmas can be sampled and purchased through the The Hipwaders’ site (where you can also find local holiday show dates), Amazon and other media outlets. Dan Zanes‘ fans will have another reason to celebrate the upcoming holiday season with the re-release of Christmas in Concord. 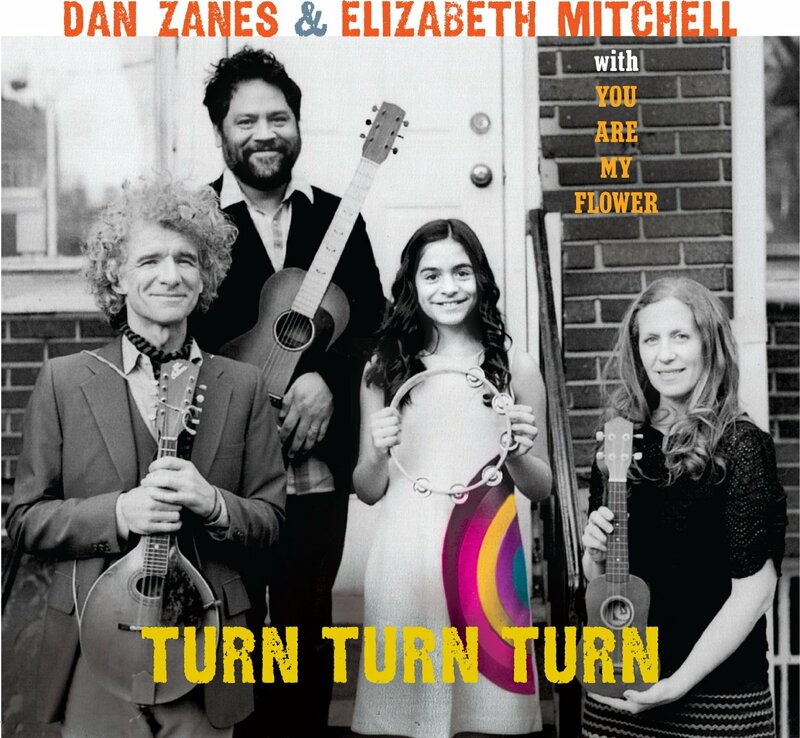 The mini-album which celebrates the old Christian tunes that have been a part of Christmases in Zanes’ hometown of Concord, NH, for generations also has two new songs which feature Pulitzer Prize winning author Suzan-Lori Parks. Parks brings rich, soulful accompaniment in my favorite song, “Rise Up Shepherd and Follow.” The song was initially performed at a legendary local venue for people in need, known as the Friendly Kitchen. During a road trip, Zanes and Parks wrote “I’m Counting the Days Until Christmas” while reminiscing about their fathers’ experiences in the military. 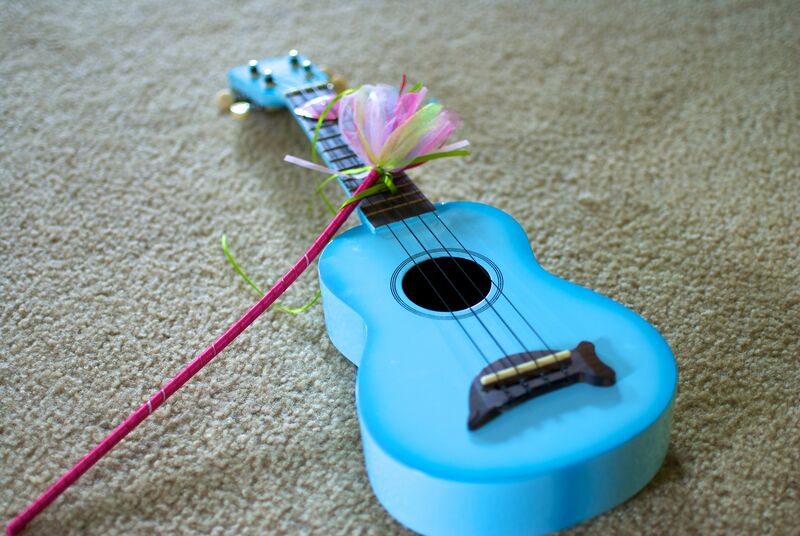 As with most of Zanes’ work, there is a feeling of joy in being surrounded by, creating and sharing music. Christmas in Concord carries the same feeling. Coupled with a nostalgic backstory, a well chosen collaboration and Zanes’ soft rasp, classics like “Joy To the World,” “Deck the Halls” and “Silent Night,” are sure to warm your heart as you snuggle and share your own stories with your loved ones. 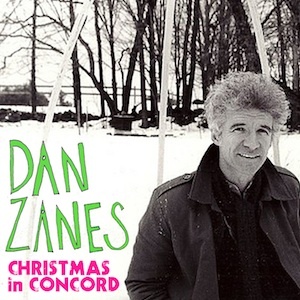 Christmas in Concord can be heard and purchased through Dan Zanes’ official site and Amazon, as well as other regular media outlets. 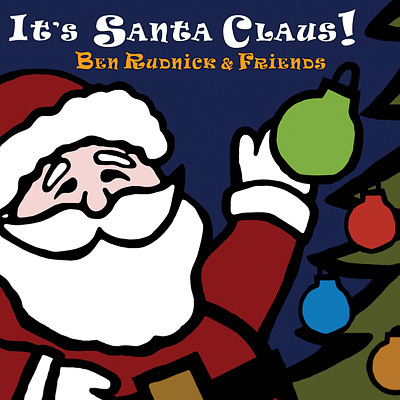 Ben Rudnick – It’s Santa Claus! It’s Santa Claus! by Ben Rudnick & Friends contains renditions of traditional holiday tunes that don’t stray too far from the sounds of the originals but certainly showcase the group’s signature folksy rock style. The title track, “It’s Santa Claus,” an original on the album, is a bouncy tune that is just as jolly as the man in the red suit. 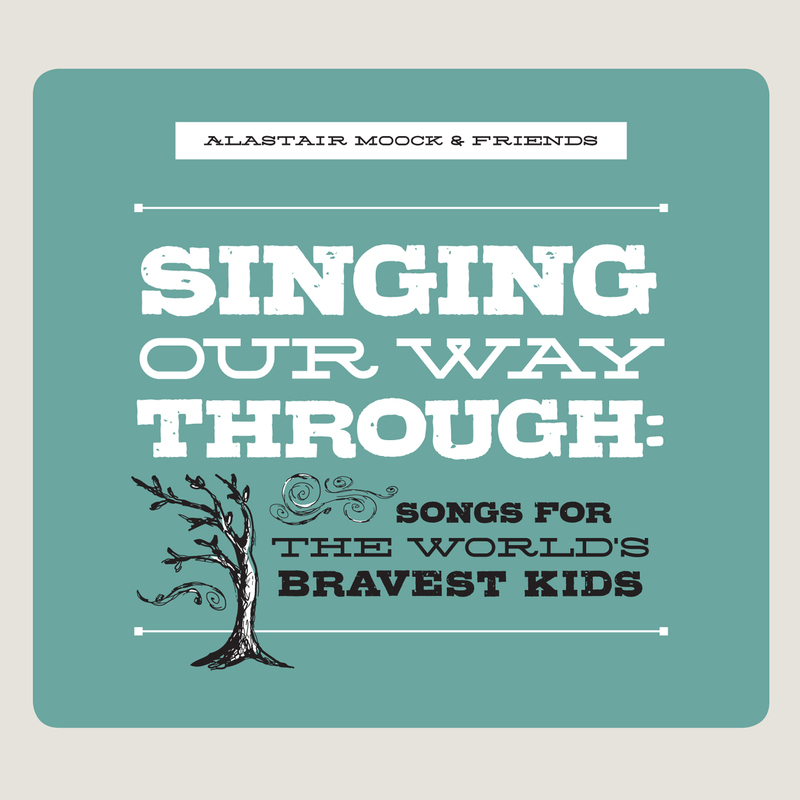 The album is made up of catchy arrangements filled with the instrumental stylings of the many “Friends” who play along with Rudnick. 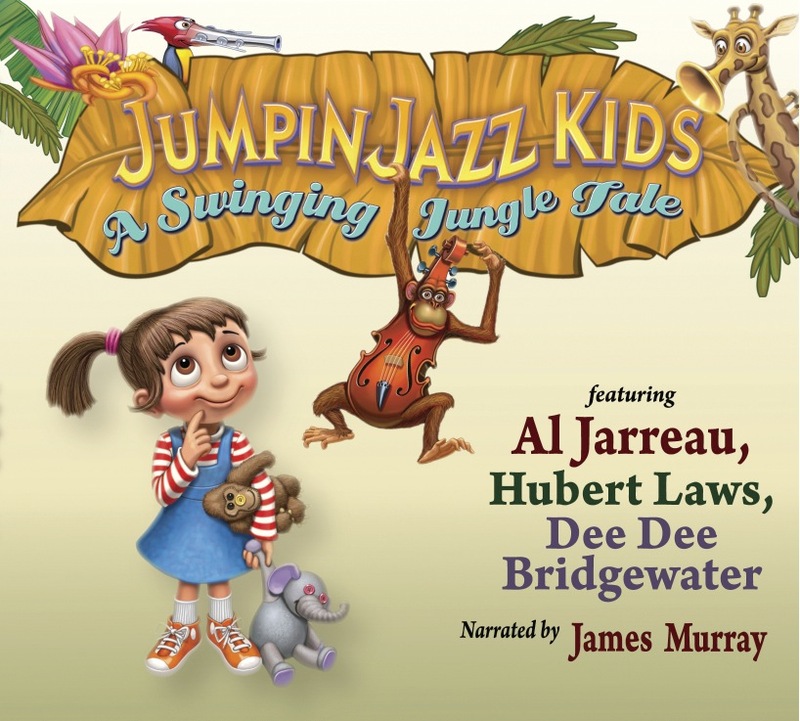 “Jingle Bells” is jazzy with saxophonic accents, and even “Greensleeves,” a song I obsessively played on the piano in my earlier days, gets a jumpstart with some fast-paced finger picking and accordion before it slows down toward the end. It’s Santa Claus will provide your family with a fresh festive twist on holiday classics. You can hear samples and purchase It’s Santa Claus! through Rudnick’s site, Amazon and other media outlets. Learn about the inspiration for and the making of the album on Rudnick’s blog. 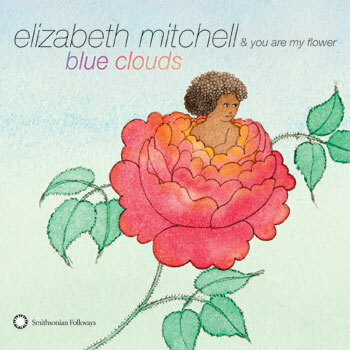 “Blue Clouds” is another Smithsonian Folkways release and it is sure to be yet another beautifully arranged album. With some originals, renditions of traditional songs and covers from David Bowie, Van Morrison and even Jimi Hendrix I’d say we’re in for a treat. 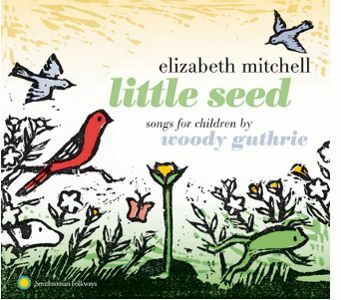 Below is a sneak preview of a few songs from the album, which includes the Bowie cover “Kooks”, a rendition of “Froggie Went-A-Courtin” and the title track “Blue Clouds,” a lullaby written by Daniel Littleton (Mitchell’s husband) for their daughter Storey when she was 3 years old.